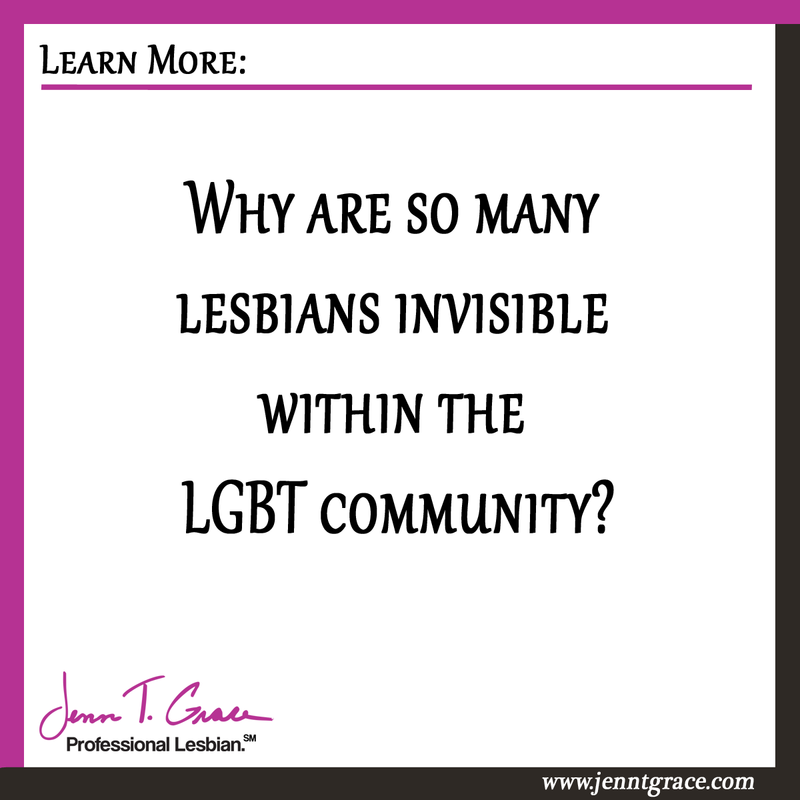 Why are so many lesbians invisible within LGBT community? 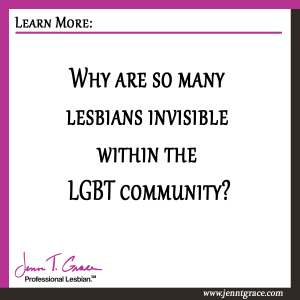 Home » Community » Why are so many lesbians invisible within the LGBT community? I talk a lot about how the LGBT community is not monolithic. In fact it is quite a diverse group of people under one LGBT umbrella. 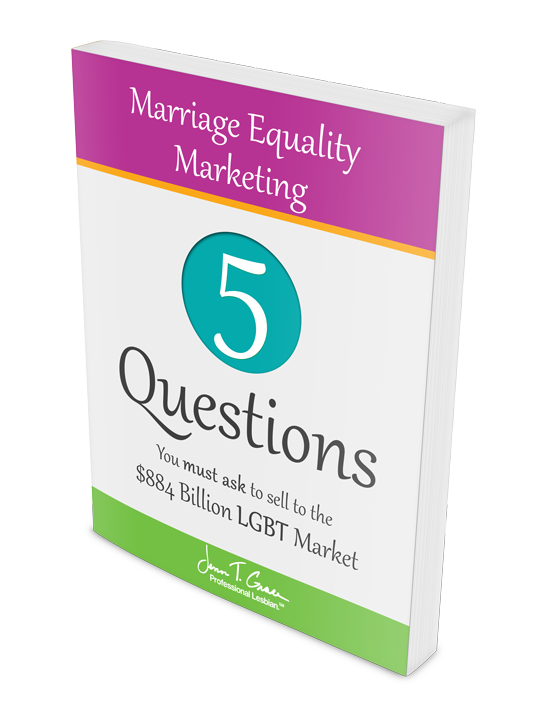 You have people of all walks of life who are LGBT so the idea or notion that the whole community could be marketed to or sold to in anyway in one marketing effort is the furthest from the truth. I’ve been on the quest to find where the lesbians are and have written a few posts on the subject. 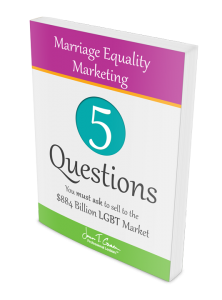 I’ve discussed generational differences, gender differences, etc. But the fact that there is such a high propensity of invisibility within the lesbian community is such an interesting topic and one that I will bring a business angle to momentarily. I recall when I first came out at age 19, I was young, naïve, but yet proud of who I was. But not fitting into what people believed lesbians to look like, made it very difficult for me to be openly and noticeably gay. You may be saying well why does it matter if you are openly or noticeably gay? It matters because it’s about living an authentic life and being who you are. If you don’t look “the part” then living authentically can be a bit difficult. There is a whole culture of the LGBT community of lesbians who identify as femmes, high femmes or lipstick lesbians – just to name a few of the terms. These are all women who do not fall into any preconceived stereotype of what a lesbian looks like. Some of the stereotypes you may be thinking of could be, having short hair, having a rugged disposition, wearing more masculine clothing, etc. While there are many lesbians who personify these stereotypes there are just as many who do not. This is where stereotyping gets tricky and can get you into trouble. The femme lesbian can often be invisible to other members of the LGBT community making it very difficult to find that sense of belonging. For some people belonging to a community is very important. For others it doesn’t matter. Going back to when I was 19, I wanted to fit in with the LGBT community. To find that sense of belonging. But I was never assumed to be part of the community. I remember wearing rainbow necklaces, sporting HRC jewelry, practically wearing shirts that screamed I’m a lesbian. I recall one specifically that was brown and said “I love my girlfriend.” Those are the extremes I went to be a part of the community in which I rightfully belonged but because I wasn’t easy to identify very rarely felt like I fit in. Even now as out as I am it occasionally happens where someone doesn’t know and will make some kind of disparaging remark. A good example is one of my neighbors. She’s a bit older and still thinks that my wife and I are sisters. We’ve been neighbors for many years at this point and she still thinks this. I’ve overheard a comment or two in our time living near one another in regards to gay male couples. For some reason since she doesn’t think my wife and I are together or lesbians in her mind it seems okay to make snide remarks about other gay folks in the neighborhood. And even after correcting her it hasn’t made much of a difference. But these types of encounters can happen in public when you are checking out at the grocery store or at the bank. As an invisible lesbian it’s very hard to make it known who you are without being over the top about it. I wouldn’t classify myself as being an invisible lesbian all of the time but know that there are many moments in my life where I am one. I truly cannot wait for everyone to see this documentary and to talk about the trials and tribulations of this underrepresented part of the LGBT community. My message to you as a business owner or professional is never assume. Never assume that the women in your store or the women you do business with are straight. Never assume they are lesbians either. Treat everyone fairly and understand that by being inclusive all of the time in your business you won’t need to worry about accidentally excluding anyone. 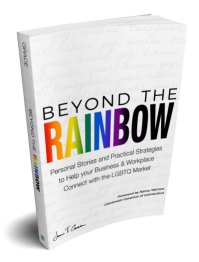 An inclusion based business model is so incredibly important when you have a desire to do business with the LGBT community in an authentic way. Being inclusive of everyone, all of the time, can save you time and many headaches.  With the end result of being known as a good go-to person/business/resource for LGBT folks within your community. ← What’s the deal with the lack of LGBT stock photography? 4 Responses to Why are so many lesbians invisible within the LGBT community? Further complicating this particular issue is that the Kinsey continuum for women is a lot more blurred – fewer women on either ends, more somewhere in the middle. Not that femmes are more likely to be bi that butches – I don’t know that. Twenty five years ago I strongly believed that lesbian invisibility was largely a conscious choice – and that it was presented not as a necessary response to the prevailing attitudes but an ethical decision. I recognize that it’s a lot more complicated than that – isn’t that always the case. Are you the only person who takes offense at that woman’s comments? Or merely the only one who calls her on it. She’s gotta be really fixed in her prejudice if even after you’ve told her more than once “this is what a lesbian looks like” she still clings to her false concepts. More great insights, Marianne. Thanks for providing this perspective and acknowledging that your opinion changed over time. I don’t think I am the only one who would take offense but I am pretty certain I am one of the very few who call people out on these things though. I do it in a gentle way so I can educate rather than alienate.